Old school track racing is something that never gets old. 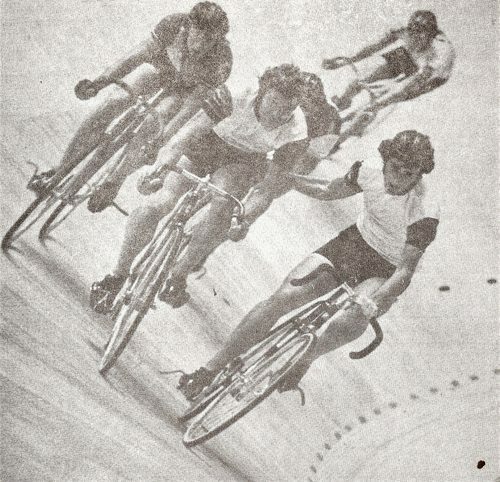 Before the days of cross-fit and massive quads of today’s modern athletes, these track racers would whip around wooden planked velodromes on steel bikes with cleated shoes and straps. As the story is told, Ted Waterbury threw Bill Shook into the action at the Detroit Six, September 1973.